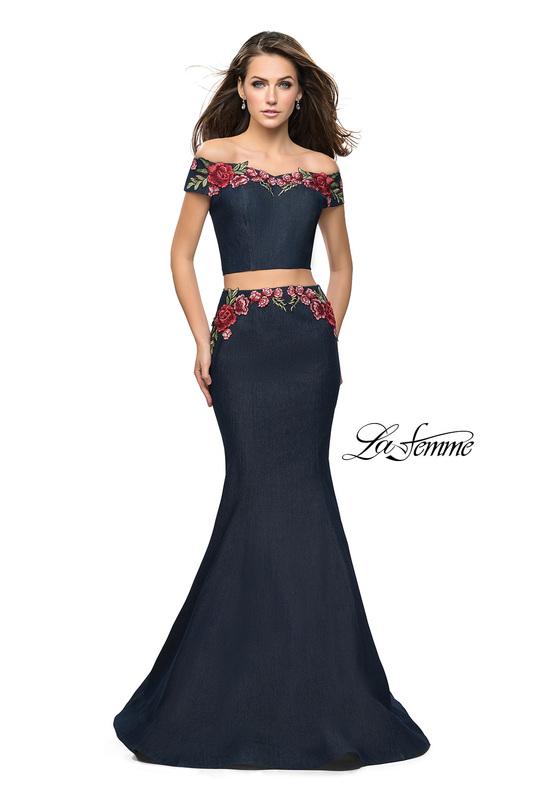 Make a statement in this denim two piece off the shoulder mermaid dress. 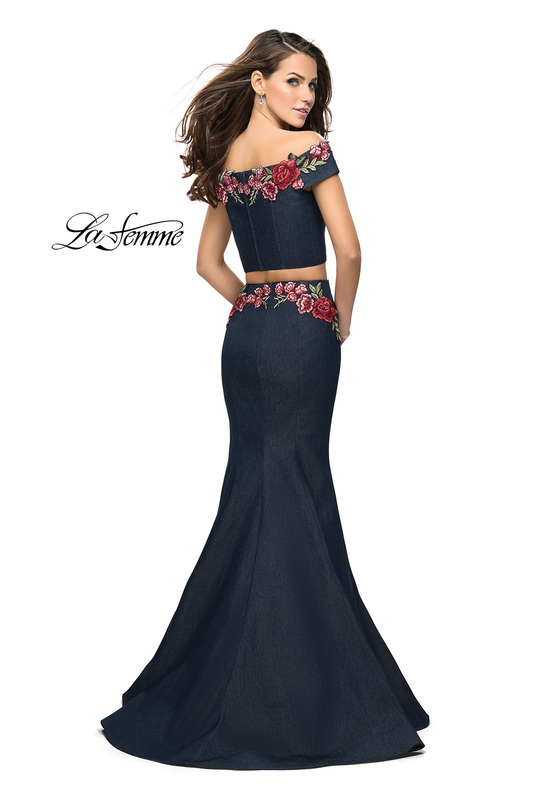 Featuring floral applique off the shoulder and on the belt of the skirt. Back zipper closure.